The history of study of archaeological monuments in the territory of Armenia spans 150 years during which hundreds of monuments and thousands of artifacts have been excavated and studied, which serve as foundation for the reconstruction of the region's culture and history. The necropolis of Karashamb occupies a unique place among these monuments. The Karashamb necropolis is situated 1.6 km south of village Karashamb, in Kotayk Province, on one of the terraces of the right bank of Hrazdan Gorge (lat. 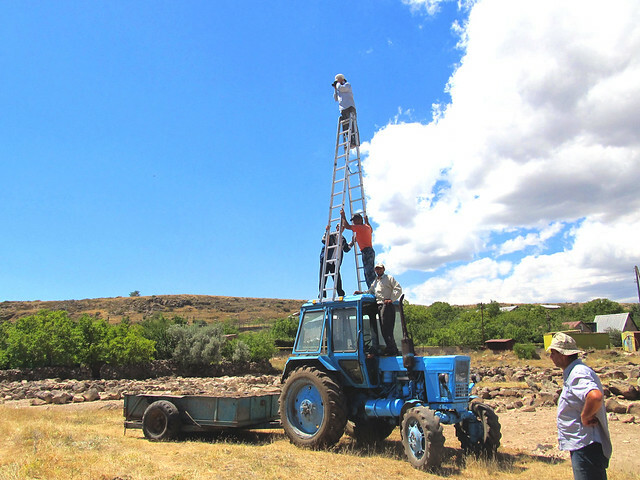 - 40˚23’ 49.3’’ N, long. 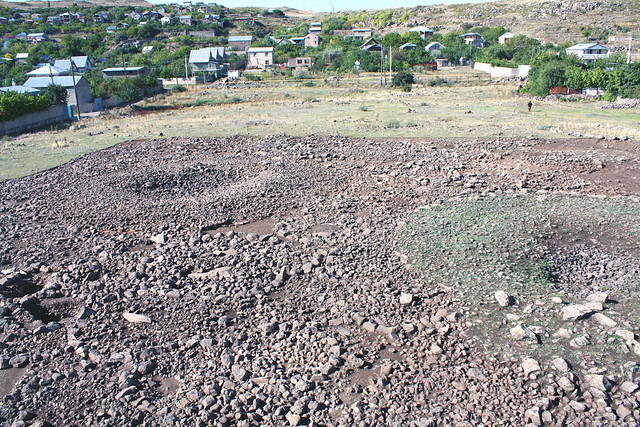 - 44˚ 35’ 28.8’’ E). 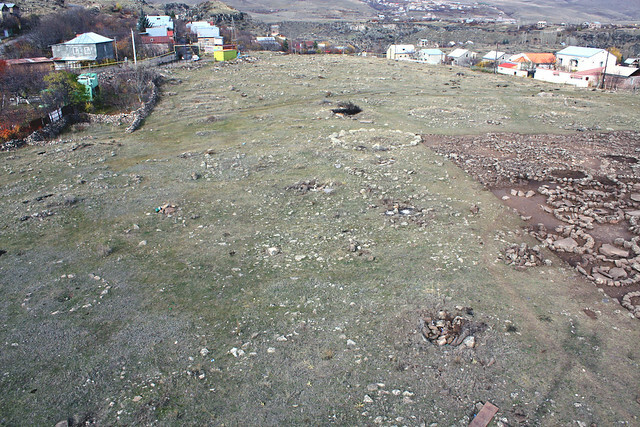 Today the preserved segment of the necropolis occupied an area of about 3.5 hectares and is only a fraction of the original larger cemetery. 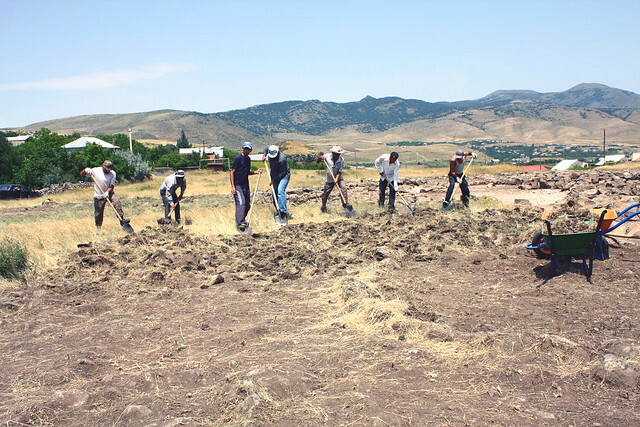 The first archaeological investigations at the, site were carried out by L. Karapetyan in 1966 during which 6 tombs were excavated dating to various stages of the Bronze Age. 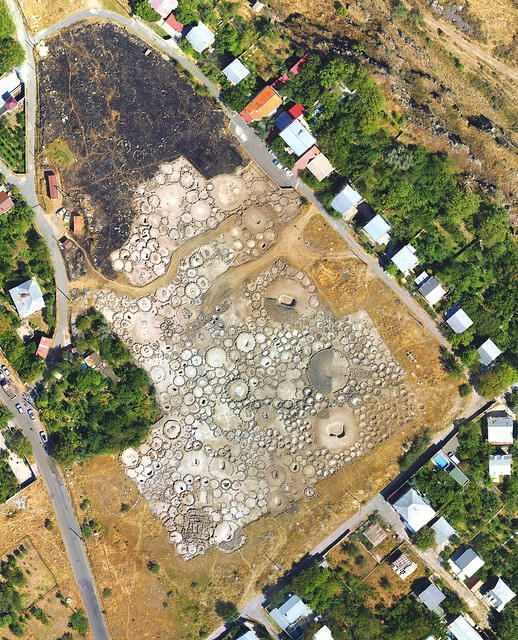 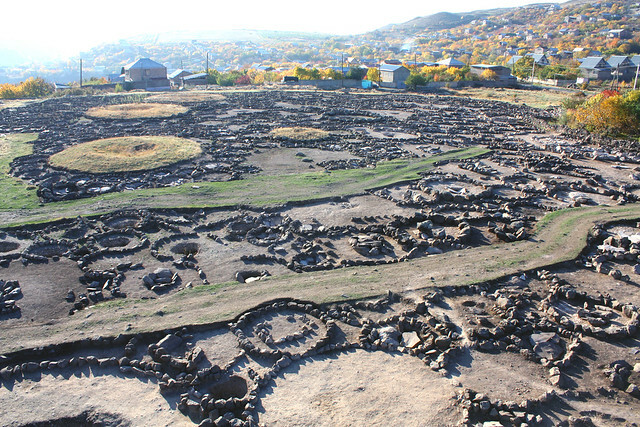 Archaeological excavations at the site resumed in the 1980s after the Yerevan City Council allocated a large portion of the monument for agricultural use. 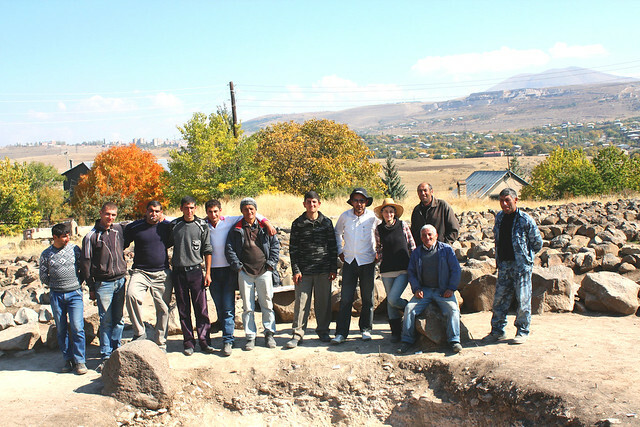 Between 1981 and 1984 archaeological expedition of the Institute of Archeology and Ethnography of the USSR Academy of Sciences (under the directorship of E. Khanzadyan) and the Ministry for the Protection and Use of Archaeological Monuments (under the directorship of F. Muradyan) excavated 1060 tombs dated to the Bronze and Iron Ages. Additional rescue excavations were conducted in 1987 in the northern section of the necropolis in connection to the construction of the Arzni-Karashamb highway by the Department of Archaeology of the Institute of Archaeology and Ethnography of the USSR Academy of Sciences and the "Erebuny” United Museum expedition under the directorship of V. Hovhannisyan. 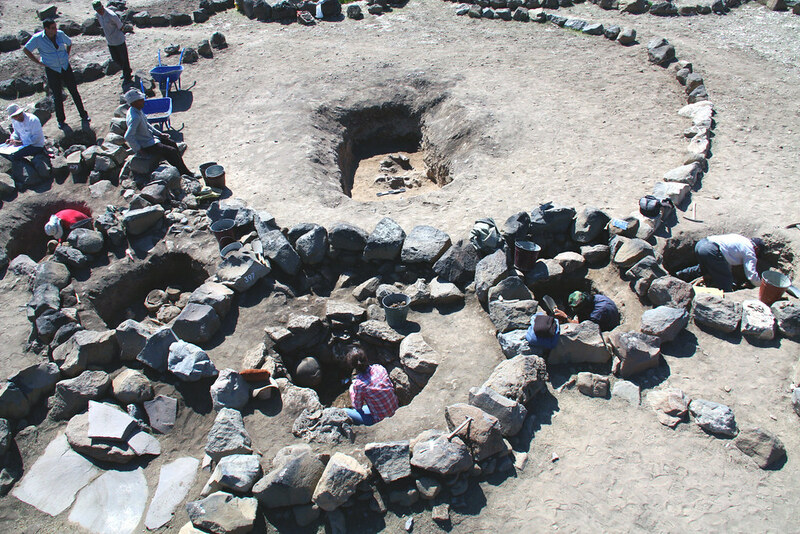 A large burial mound was excavated on the left side of the road. Based on the study of the artifacts it was attributed to the early phases of the Treghq-Vanadzor archaeological cultural complex dated c. the beginning of the 2nd millennium BCE. Adjacent to these, five more cromlech burials, covered with large basalt slabs, dating to the Late Bronze Age were excavated. 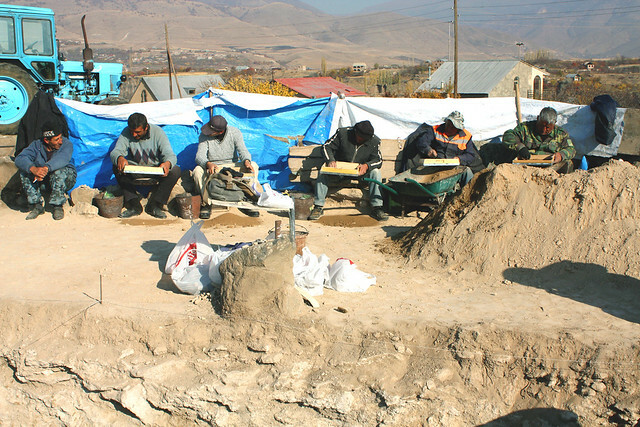 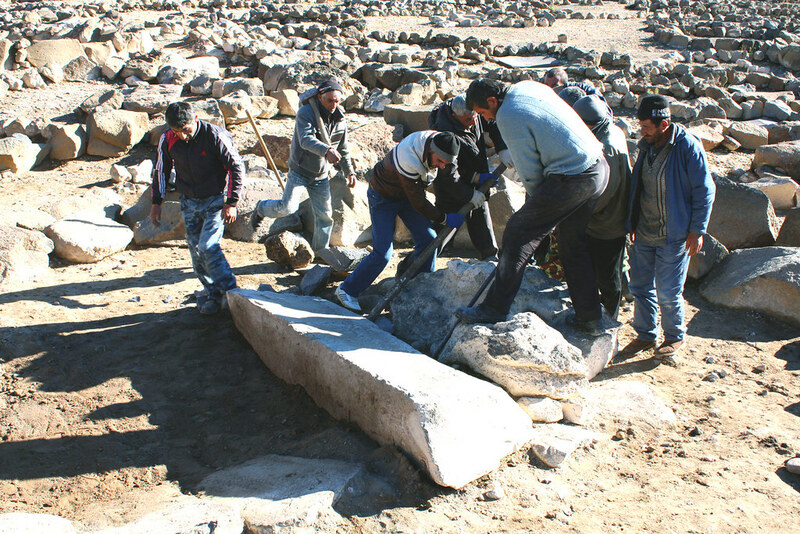 After a long break, archaeological investigations at the Necropolis resumed in 2008. 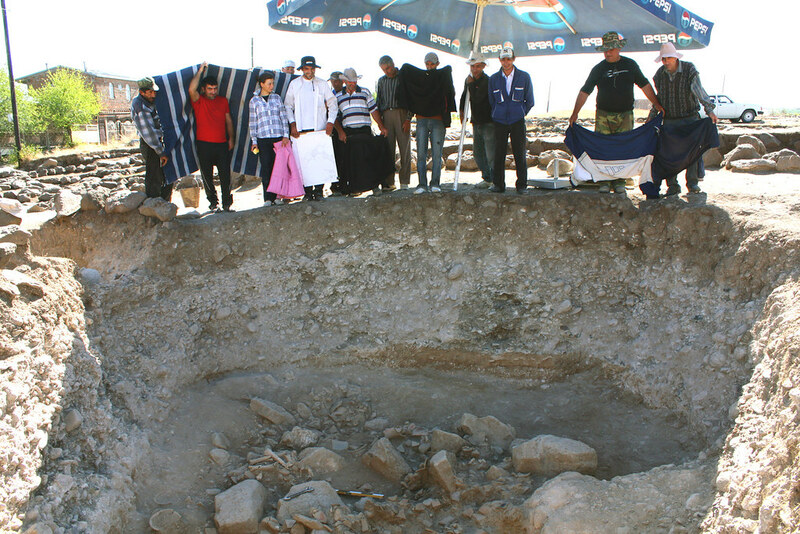 As a result of archaeological excavations undertaken between 2009 and 2015 more than 11,300 square meters of the necropolis were cleared from modern debris, rocks, and shrubs; 776 individual burials have been recorded and more than 500 of these have been excavated. 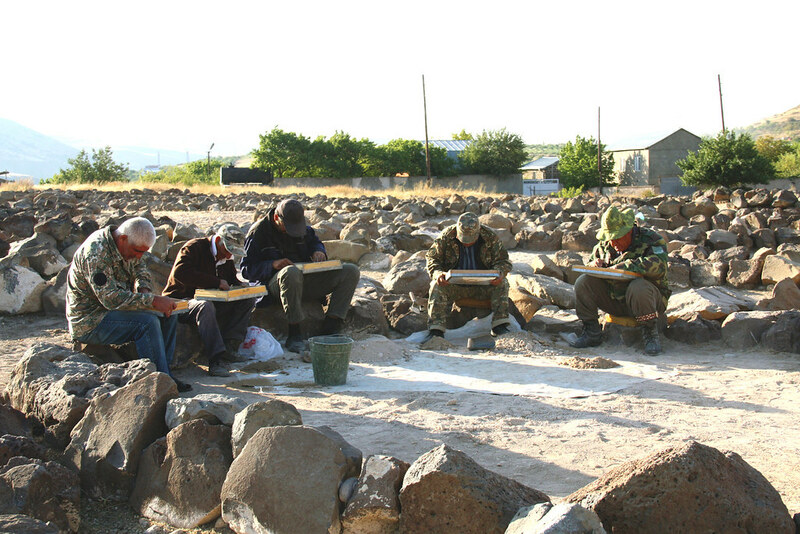 During recent investigations at Karashamb, material that is unique and plays an irreplaceable role for reconstruction of the socio-cultural landscape of the Bronze and Iron Ages has been brought to light. 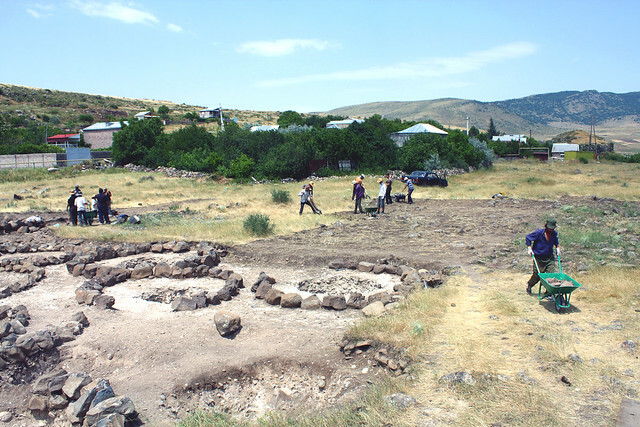 These materials attest to fact that in the north-eastern parts of the Armenian Highlands early state formation was already in full swing during the last quarter of the 3rd millennium BC (23rd – 22nd centuries BC). This is evidenced by the presence of gold and silver dinnerware, personal ornaments, symbols of power, and other similar items in the largest tombs of the necropolis. 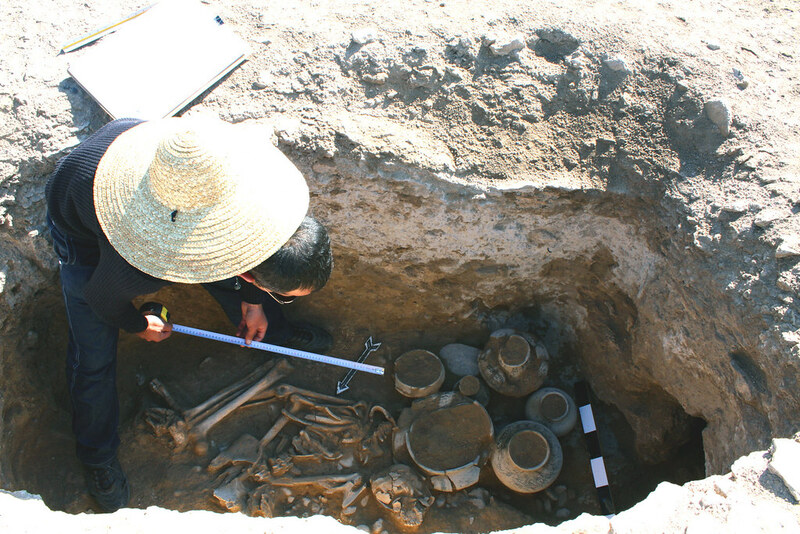 Moreover, the five-layered pictographic panels on the silver goblet of Karashamb give rare information about royal banquets, an army lead by a warrior king, victory celebrations, tributes paid, and general notions of a royal household. 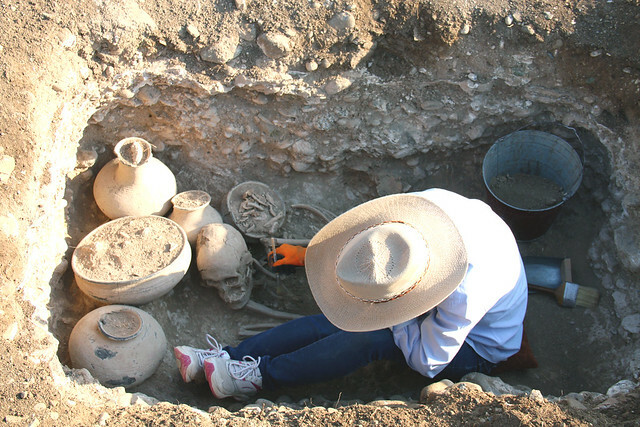 These images along with the very lavish burials are indicative of a high level of social, political, and economic complexity. 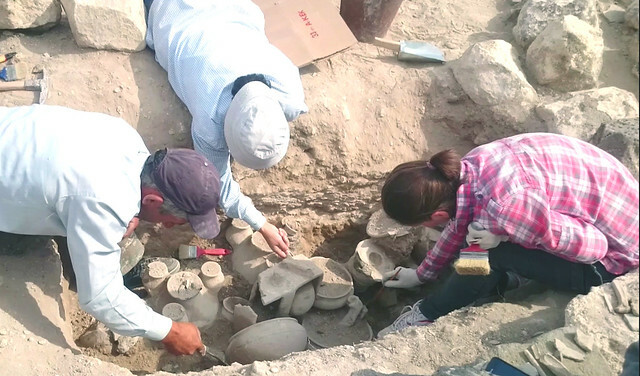 New tombs have been excavated between 2009 and 2015 and their material contents have been examined. 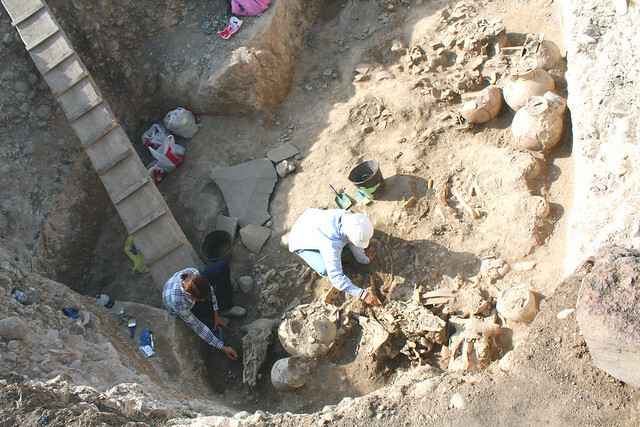 During these excavations such unique finds as faience jewelry, vessels, statues of birds, examples of painted pottery, numerous sacrificial cattle remains, etc. These findings enable an understanding of the social and economic life and funerary ritual of the elite class of the XIX-XVII centuries BC. The analysis, restoration, conservation and cataloging work of the Karashamb tombs and their accompanying burial goods (vessels, jewelry, weaponry, sacrificial animal remains, and human remains), which elucidate several issues connected with the study of the Bronze and Iron Ages in the Southern Caucasus: 1) It will enable the refinement of the cultural and chronological history of the Karashamb necropolis itself (2300-2800 BC), 2) To understand the changes in the social environment and socio-economic complexity, 3) It will allow for the refinement of the Bronze and Iron Age chronology of the Southern Caucasus, and 4) provide more concrete bases for the delineation of criteria for the characterization of the region’s social and cultural landscape.